"Dishonesty inspires more euphemisms than copulation or defecation. This helps desensitize us to its implications. In the post-truth era we don't just have truth and lies but a third category of ambiguous statements that are not exactly the truth but fall just short of a lie. Enhanced truth it might be called. Neo-truth. Soft truth. Faux truth. Truth lite." Deception has become the modern way of life. Where once the boundary line between truth and lies was clear and distinct, it is no longer so. In the post-truth era, deceiving others has become a challenge, a game, a habit. High-profile dissemblers compete for news coverage, from journalists like Jayson Blair and professors like Joseph Ellis to politicians (of all stripes), executives, and "creative" accountants. Research suggests that the average American tells multiple lies on a daily basis, often for no good reason. 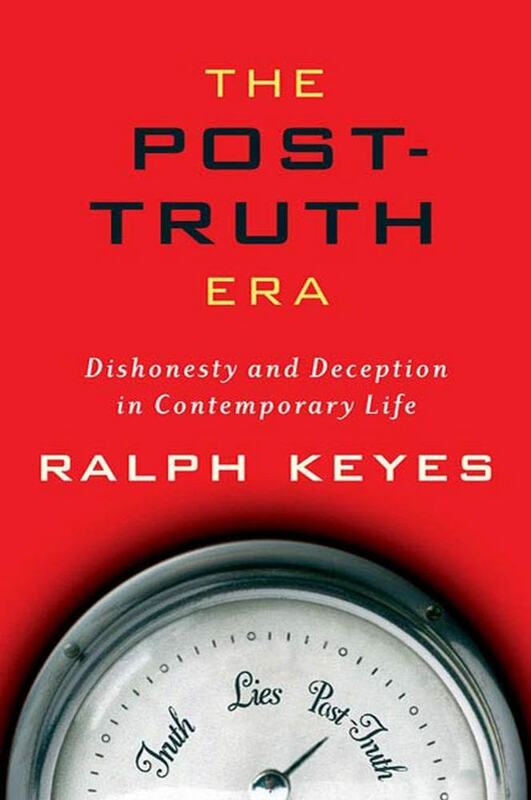 Not a finger-wagging scolding, The Post-Truth Era is a combination of Ralph Keyes's investigative journalism and solid science. The result is a spirited exploration of why we lie about practically everything and the consequences such casual dishonesty has on society. American society has become permeated from top to bottom by deception. Its consequences for the nature of public discourse, media, business, literature, academia, and politics are profound. With dry humor, passionate fervor, and deep understanding, Ralph Keyes takes us on a tour of a world where truth and honesty are no longer absolutes but mutable, fluid concepts. "Truth" has been displaced by "believability:"
Ralph Keyes's books include Timelock, The Courage to Write, and the bestselling Is There Life After High School? He has been on Oprah, 20/20,and The Today Show, as well as Fresh Air, and All Things Considered on NPR. His articles have been published in Esquire, GQ, Good Housekeeping, and Harper's. He lives in Yellow Springs, Ohio.